EXTRA | ORDINARY BLOG — Learning to take my own advice : Self talk and steak. Despite my earlier posts on painting large and the benefits thereof, I have been stuffing myself on hors d'oeuvre-sized paintings lately, whilst nervously eyeing off the mains; waiting for inspiration to strike so that I can justify blowing a decent amount of paint and a large panel on a composition that I know I’ll love. Last week, I think I found it. 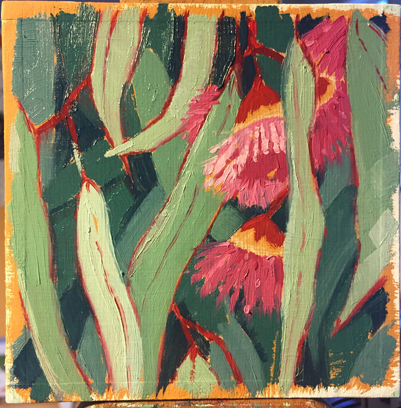 Whilst painting another canapé sized 4x4” mini of these delicious little peeping gum-flowers, I found my inner painter’s voice (remember Pablo?) moving into parental tones. You know, that mix of controlled frustration, combined with patronising encouragement. Ugh… Pablo can be a real condescending prat sometimes. 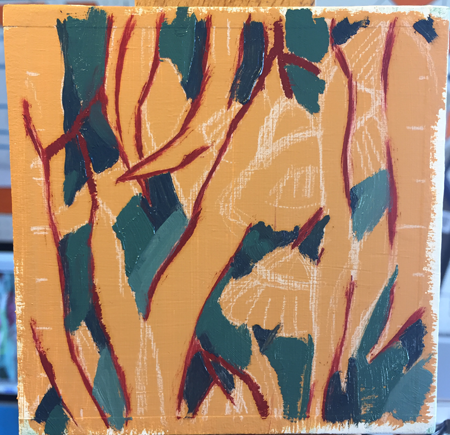 4 x 4” (10 x 10cm) Oil on wood block. 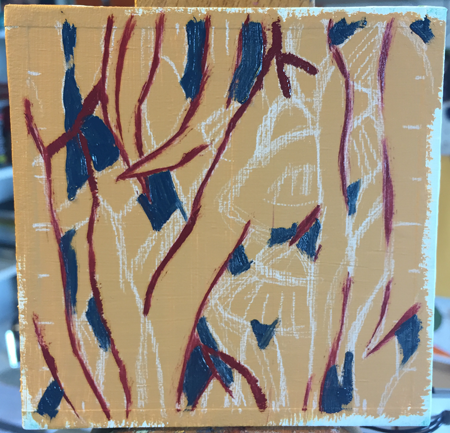 The following day I upped the size of my painting to a 6 x 6” . Not a huge increase, I know, but it’s all I had on hand. As it turned out, it was enough to make some compositional improvements and allow me to play around with using a different coloured background - both of which aid my continual learning process. 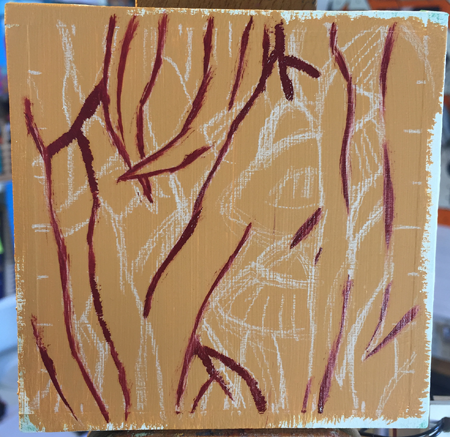 6 x 6” (15 x 15cm) Oil on panel. Having done all that, I feel I’ve just whet my appetite. I’m really keen to paint this one again, only much, much, larger. In fact, you could say I’m now preparing to sample something from the main course menu. Steak anyone?